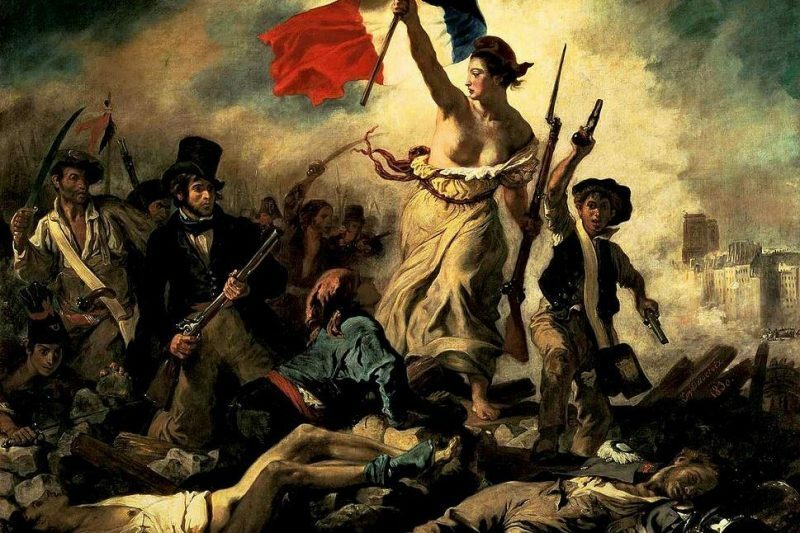 Recently, it was suggested that the French state should lend Eugène Delacroix’s iconic painting Liberté Guidant le Peuple (Liberty Leading the People). It’s a masterpiece that constitutes an important part of the heritage of France. Not only is it a powerful romantic symbol of the French Republic, but it used to be part of the 100-franc note at a time when France had its own currency. Consequently, the idea of giving this painting to the Chinese – even for a short spell – is causing some disquiet amongst the citizens of this republic. The notion behind it came from the diplomatic corps, who wanted to send a strong signal of fraternity to China to mark the 50th anniversary of the recognition of the People’s Republic of China by France. The Ministry of Culture, meanwhile, as well as conservationists, have said that it’s not a good idea, least of all because the priceless painting is in too fragile a state to be forced to travel to China. The debate in France is whether or not the loaning out of priceless works of art constitutes bringing French culture to the rest of the world or whether it’s a kind of dangerous merchandising to help protect the heritage of France. The emblematic painting by Delacroix has been earmarked since 1958 as one on which a strict limit should be put on the number of times it can be moved and with a recommendation on it not being let out on loan under any circumstances. That said, the painting did go on a tour of Detroit and New York in 1974. That wasn’t the last of its big trips abroad as it went on another one in 1999. On that occasion, it was to Japan on orders of the (then) President Jacques Chirac, who wished to dignify the official year of Franco-Japanese affairs. It then went on a much shorter journey to the northern French city of Lens just a year ago to mark the occasion of the opening of “outpost” of the Louvre in the Nord-Pas-de-Calais city. The Mona Lisa in the Louvre, Paris: Too fragile to travel anywhere, unless the President says otherwise. 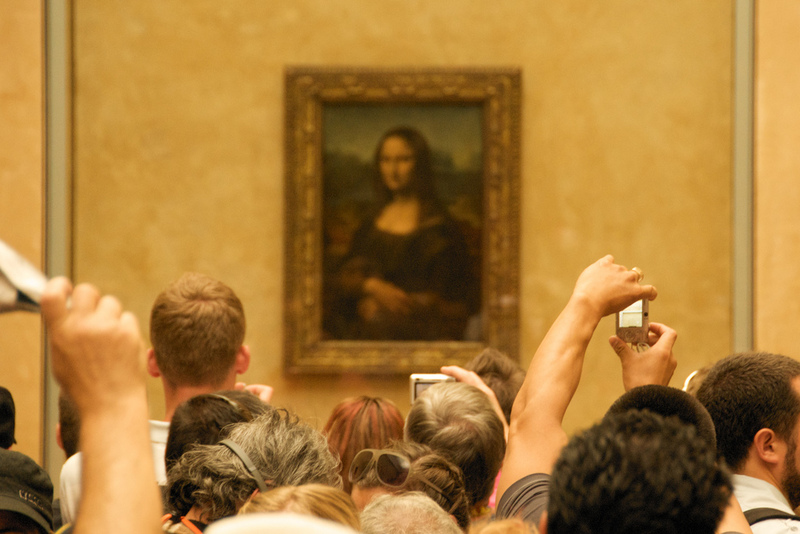 It seems that for every rule made, it gets broken once some other country gets excited enough about having an iconic French-owned painting visit their homeland. Even the Mona Lisa – which is in a very fragile state – has done some travelling. The first time was when it was stolen in 1911. It was found two years later in Florence. By way of gratitude to the Italian people, the Mona Lisa went on an exhibition tour of Florence, Rome and Milan. At the end of 1962, Minister for Culture André Malraux brought up the idea of loaning the Mona Lisa out to the Americans. Conservationists were immediately up in arms at the idea and resisted it strongly, denouncing the notion as objectifying and abusing the nation’s artistic heritage in putting such a fragile and priceless element at risk for the sake of improving relations between the US and France. General de Gaulle had the last say and, in the middle of tumultuous times for France in the aftermath of the Algerian War, the Mona Lisa did go on a tour of Washington in 1963. In 1974, President Georges Pompidou decided to lend the Mona Lisa to Japan, including a short stopover stay in Moscow. Apart from giving art on loan, French national museums have also hired out to other countries under different agreements. One such agreement was between the Louvre and the High Museum of Art in Atlanta, USA. From 2006 to 2009, the arrangement involved several art works being sent to Atlanta and a Coca-Cola sponsorship deal. In all, the Louvre museum netted some €4.6 million; money it used on renovation works. A project that will go even further is that of the opening of the Louvre-Abu-Dhabi in 2015. This lucrative deal will see some 300 works of art being shipped to the cash-rich United Arab Emirate who will be paying both for priceless French art work to be shown in their country but also for the Louvre brand. The list of 300 is already drawn up and will be shown in a special exhibition at the Louvre from April next.